As energy prices rise and demand for green buildings increases, how to get started with green building is a question that is being asked more frequently. 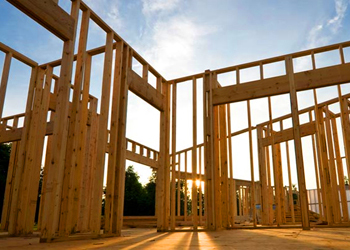 Today Iâ€™ll go over a few tips & resources to get one builder started. 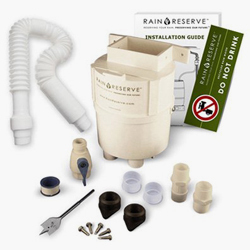 Iâ€™m a general contractor near Kelowna BC and Iâ€™d like to transition from normal construction to green construction, but I donâ€™t know where or how to start. Who should I talk to? What should I do? Hi Jonathan, thanks for your question! Iâ€™ll try to answer your questions with specific responses, but also generic info that will be of benefit to other readers in different areas. Green building has experienced tremendous growth over the past 5 years, as more and more people recognize the benefits of living in efficient & healthy buildings. Youâ€™re very well placed as a general contractor, because thereâ€™s a lot you can do once you get going. 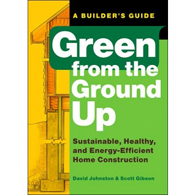 To start with, here are a few books that will serve as green building primers to get you started with the basics of not only the construction details, but also design. 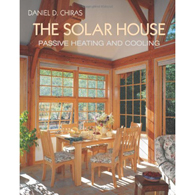 There are many more books available depending on how much further you want to dig down into each part of green building. The next step is to get involved with local green building associations and groups, both for networking with other green builders, but also for learning and training opportunities. Talk to your local home builders association, (CHBABC for you specifically) and see what local groups and associations they recommend. Since youâ€™re in BC, I recommend you join up with your local Cascadia group, which is a large Green Building Council organization that is a member of both the Canada Green Building Council and the US Green Building Council. For people living in other areas, check out what CaGBC and USGBC groups exist in your area, and start attending their monthly meetings. The next step after that is to learn about the different green building rating systems. LEED for Homes is one of the most widely recognized standards in use today, but other systems such as R2000, BuiltGreen, and EnerGuide/EnergyStar are also quite common. Each rating system has different requirements and advantages, see what others in your area are doing and use that to decide what direction you want to go in. You might want to pursue becoming a LEED AP, or a BuiltGreen certified builder, for example. Green building isnâ€™t just about adding fancy gizmos like heat pumps and solar panels to a house; itâ€™s about fundamentally re-thinking the way our dwellings are built. 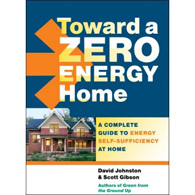 A properly designed and built green home uses less energy than a conventional home, is more comfortable inside, and has significantly better indoor air quality. Any one of those benefits makes it worthwhile, but all together itâ€™s a winning combination. Good luck, and welcome to the world of green building! If you have a question or comment, please let me know!